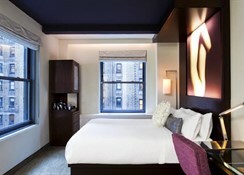 Maxwell New York City is an uber-chic, plush, modern hotel situated at the heart of Manhattan in New York. 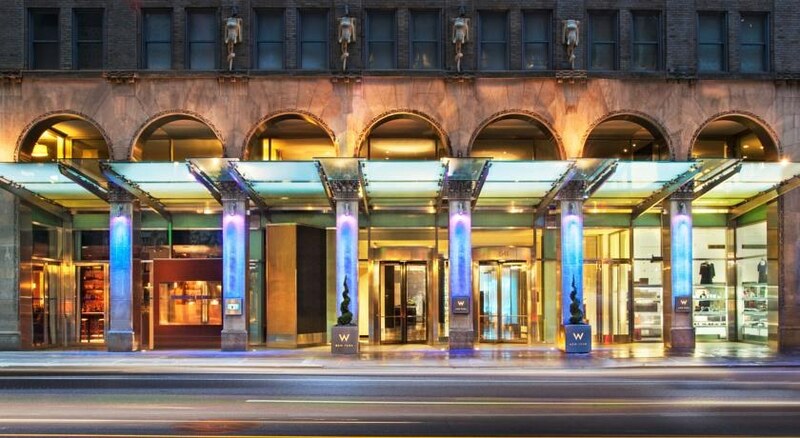 Close to some of most iconic museums, tourist spots and shopping centres of New York, this iconic hotel is the best place to spend the summer in the Big Apple. The hotel is a sanctuary of peace and quiet in the hurly burly of the city. Relax in the Bliss 49 Spa or enjoy a cocktail at the hotel’s vibrant living room lounge. The hotel comes with complimentary Wi-Fi facilities and valet parking. It also has a state-of-the-art gym and a business centre and tastefully furnished, keyless rooms. The hotel also organizes custom-made birthday parties and other entertainment evens upon request. 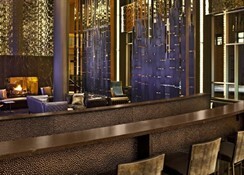 The excellent restaurants and bars serve delectable American cuisine and drinks. The hotel is also pet-friendly. Your furry friends too can have a time of their life at the hotel, while busy yourself with the sightseeing and shopping. 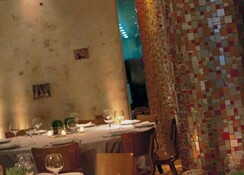 Maxwell New York City is located near the Grand Central Station. It is only 700 metres away from the station. Another station is the Penn State Station that located at a distance of around 900 metres. The New York Port Authority bus depot is 2 km away from the hotel, while the nearest airport is 16 km away. With so many choices, reaching the hotel and navigating the city from it is a cakewalk. It will surely make your trip an unforgettable one. The rooms are modern, sleek and comfortably furnished. All of them overlook the Manhattan skyline and afford amazing views of downtown New York. 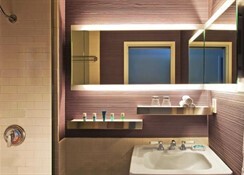 They range from 150 square feet to 2,200 square feet. Renovated in 2001, this 18-storey hotel comprises a total of 642 rooms of which 61 are suites. They have quirky names too based on the facilities provided and the charges of the room. They include, Cosy Rooms, Wonderful Rooms, Spectacular Rooms, Mega Rooms, Studio Suites, Fantastic Suites, Marvelous Suites, Wow Suites and Extremely Vow Suites. Standard facilities include, in-room movies, hair dryers, high-speed internet, en-suite bathrooms, flat-screen television sets and tea/coffee makers. 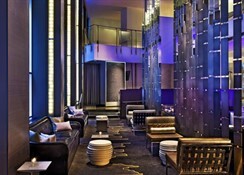 The hotel has three eating options: Heartbeat Restaurant, Living Room Lounge and Whiskey Blue Lounge. Heartbeat serves classic dishes made out of fresh ingredients for breakfast, lunch and dinner. Living Room Lounge is perfect place for an evening cocktail, while, Whiskey Blue is the hotel’s lounge bar serving some of the best liquors. The hotel has a spa, a fitness centre and an expansive lobby to relax and unwind. It organizes programs for your birthdays, guides you on shopping tours and even arranges decadent baths for you. The spa offers massage treatments, beauty therapies, laser hair removal program and hair and nail care packages. They are designed to make you feel and look wonderful. The gym has sophisticated cardio equipment and free weights. The hotel also comes with a newly renovated 8,868 square feet events and meeting space for business meetings and community events. 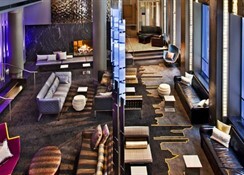 The W New York has advised they have been rebranded to the Maxwell New York City. The hotel is honoring all bookings as originally booked including rooms, promotions and services. Outside of the name change, clients should notice no differences at the hotel. The hotel does not anticipate the change will have any negative impact on their guests. The hotel is not offering any compensation due to the rebranding. We apologize in advance for any inconvenience this may cause and appreciate your understanding. If you have any questions or concerns, please do not hesitate to contact our Customer Service Team. We hope you enjoy your stay at the Maxwell New York City.